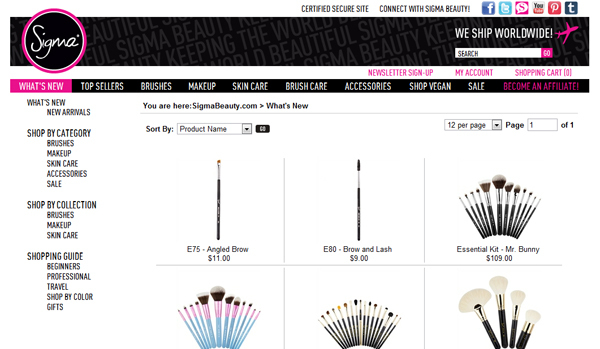 Sigma Beauty July Discount Code: 10% Off! Hey style surgeons! 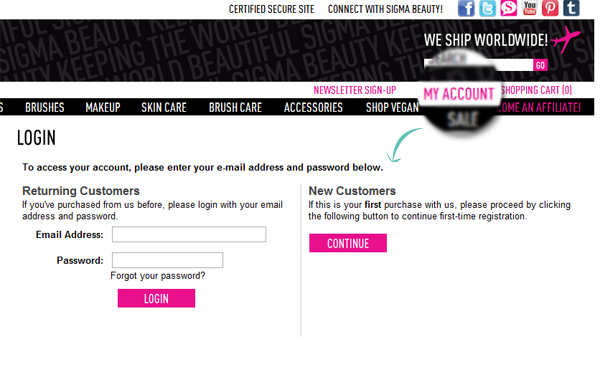 A new month is upon us, and that means a new discount code from Sigma Beauty! But before that, let me share with you what I like about their website through a simple artwork I made. This will also be a quick shopping guide for you. Hope you find this helpful! 1. A list of their social media accounts readily available so you can follow them on any platform and be updated with their newest products. 3. Clear navigation panel that categorizes their products for easier browsing. 4. They always have promos you can look forward to! Receive a complimentary gift when you purchase $30 or more at SigmaBeauty.com. Now, signing up is really easy. Just click on My Account and you will be redirected to this page. Click Continue for New Customers and you'll just need to fill out the form and that's it! Start shopping and get through their website with ease! Shop by Category, Collection, or even check out their Shopping Guide.